What if idols were soccer players? The World Cup has finally kicked off, attracting billions of fans to stadiums in Brazil. In time with the opening of the games, the “Idol Futsal World Cup Competition” was broadcast nationwide. Idol group members became the topic of the day by showing off skill close to that of the real pro players and their great passion. 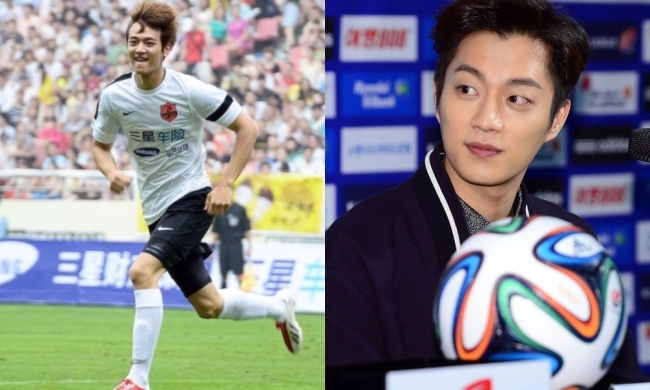 SHINee’s Minho and B2ST’s Yoon Doo-joon are idol soccer icons. Yoon Doo-joon played soccer until middle school. He is currently a member of celebrity soccer team FC MEN. He is also a K-league honorary ambassador and has free passes to 22 soccer fields. 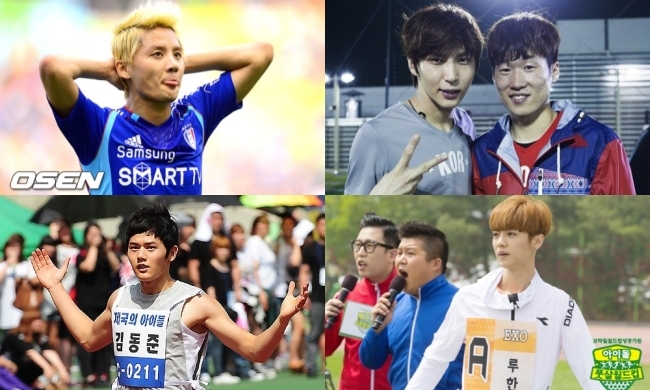 JYJ’s Junsu is the leader of celebrity soccer team FC MEN. He is also an honorary ambassador for the Incheon Asian Games, saying “Since I like soccer, I want to be part of the anticipation and cheer together”. EXO’s Luhan scored four goals during the first game in the idol futsal competition and he became known as a new “soccer idol.” He is a man of athletic ability. VIXX’s Leo also showed his exceptional soccer ability. He was a member of the junior national team from 2004-2007. At the idol futsal game, he moved the ball over the field and his team came in second. B1A4’s Baro is also a main soccer player as well as track star. At 2011’s “Idol Star Athletics Championships,” he received second place in the 100 meter and in 2012, he received first place in the 50 meter. 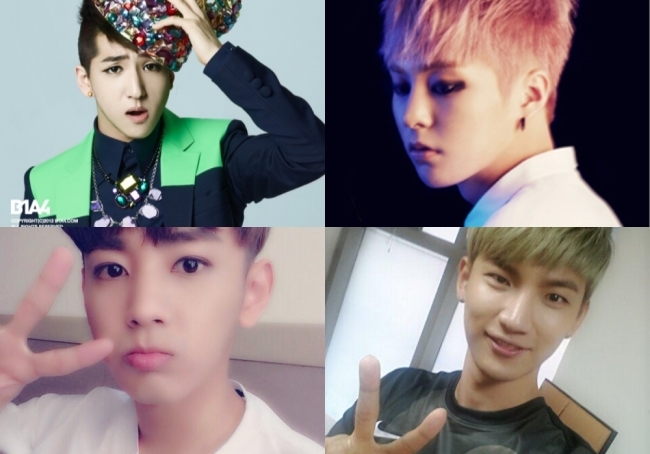 My Name’s Seyong is a rising “soccer idol.” He was a former soccer player and even thought soccer was his future. Roh Ji-hoon was a goalkeeper on the junior national soccer team for about 10 years. He signed up for FC MENS last year, which was a hot topic for a while.